Many people were confused about Jesus’ identity. Some people were saying He was Elijah. Others said He was Jeremiah or a prophet. Some believed He was a good teacher or a great magician. Jesus asked this question of His followers in Matthew 16:15, not for His own affirmation, but because who they believed He was would make all the difference in their lives. He wanted them to be able to answer the question accurately. Many people came to Jesus asking for something: a miracle, a healing, a free lunch. Jesus challenged them with this question to expose their motives. Did they want a hand-out or did they truly believe Who He was and what He could do? This seemed like an odd question for Jesus to ask a man who had been an invalid for 38 years. The man had been lying by the pool of Bethesda waiting to be cured by a Spirit that would occasionally stir up the waters. Jesus wanted to know if the man knew what he wanted. That man might have been so wrapped up in his unfortunate situation that he identified himself as “the one who has been here the longest” or “the one who was the worst off.” (John 5:1-15) If Jesus cured him, who would he be? When we complain to God about our circumstances or give Him excuses as to why we are still in the same place, spiritually or emotionally, year after year, perhaps the question He still aims at our hearts is Do you want to get well? Do you want to move forward, spiritually? Do you want to make progress emotionally? Do you want to go to a new place where God can be your all-in-all, not the situation that you have let define you? May our response to His question be: Lord Jesus, I want You. Open my eyes to see You for Who You are. Open my ears to hear Your voice. Heal my legs so I can follow You. Heal my heart so I can love You more. 4. Why are you so afraid? In Matthew 8:26, Jesus asked His followers why they were so afraid their boat would overturn on account of some wind and waves, especially since He was right there in the boat with them. Certainly, if the Son of God was in their midst, they would safely get to the other side of the lake. You and I have Jesus with us in every circumstance we encounter. Furthermore, He has promised to never leave us or desert us. (Hebrews 13:5) So, what are we so afraid of? I want my answer to be Forgive me, Lord, for fearing that anything is stronger than You or outside of Your control. 5. Why did you doubt? It’s easy to believe in God when we’re asking for our daily bread and for God to bless our jobs and keep our families safe, but what about when God asks you to do the impossible? Are you still doubting Jesus after what You’ve seen Him accomplish in the Scriptures and in your life? If Jesus can walk on the water, turn water into wine, and give you living water, surely He can keep you from the waters that threaten to rock your boat. 6. Do you still not see or understand? Jesus likely asked this question in Mark 8:17 out of frustration. No matter what they saw Him do, His disciples still didn’t get it. 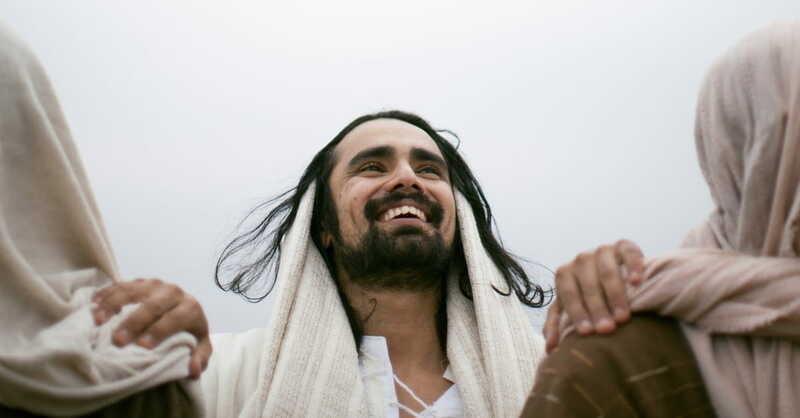 Jesus had just fed four thousand people with seven loaves of bread and a few fish. Prior to that, he had fed another 5,000 with just five loaves of bread and two fish, healed a deaf and mute man, cast a demon out of a young girl just by saying the words, and walked on water in front of them while they watched from a storm-tossed boat! What more did they need to see to understand that He was the Son of God? What have you seen Jesus do? How many coincidences do you have to experience to know His hand is working in your life and circumstances? How many times does He have to come through for you financially to make you trust His provision? May our answer to His question be: Open my eyes to see You for who You really are and to never again doubt Your presence, Your power, or Your provision. 7. Are you also going to leave? 8. What does Scripture say? When you’re in a predicament, when you have to choose between offending someone else or offending God, when you have to draw a line in the sand, instead of asking, “What would Jesus do?” and taking your best guess, ask instead, “What do the Scriptures say?” After all, that is what Jesus would say if you asked Him what He would do. In a crowded place, where people were brushing up on all sides of Him, Jesus asked this question, not because He didn’t know who touched him, but because He wanted everyone else to know. Jesus was well aware of the woman who had been hemorrhaging for 12 long years and had spent every last cent she owned trying to get well, but only got worse. He knew she was desperate to be healed. He knew what she risked by going out in public and touching a Rabbi, which would, under Jewish law, make Him ceremoniously unclean. Jesus asked the question because He wanted her to speak up. He wanted her story to be told. In Mark 5:33, we read, “then the woman, knowing what had happened to her, came and fell at his feet and, trembling with fear, told him the whole truth.” She told her story—publicly. Everyone there suddenly knew who she was, what her condition had been, and how she had been healed by simply touching Jesus’ garment. Have you experienced Jesus’ healing touch? Has He forgiven you and given you a new lease on life? Then tell your story so God will be glorified. Cindi McMenamin is a national speaker and award-winning writer who helps women and couples strengthen their relationship with God and with others. She has authored more than a dozen books including When Women Walk Alone (more than 130,000 copies sold), When God Sees Your Tears, When a Woman Overcomes Life’s Hurts, Drama Free: Finding Peace When Emotions Overwhelm You, and her newest book: 12 Ways to Experience More with Your Husband. She and her husband, a pastor, co-authored the book, When Couples Walk Together: 31 Days to a Closer Connection. For more on her resources to help strengthen your walk with God, your marriage, or your parenting, see her website: www.StrengthForTheSoul.com.